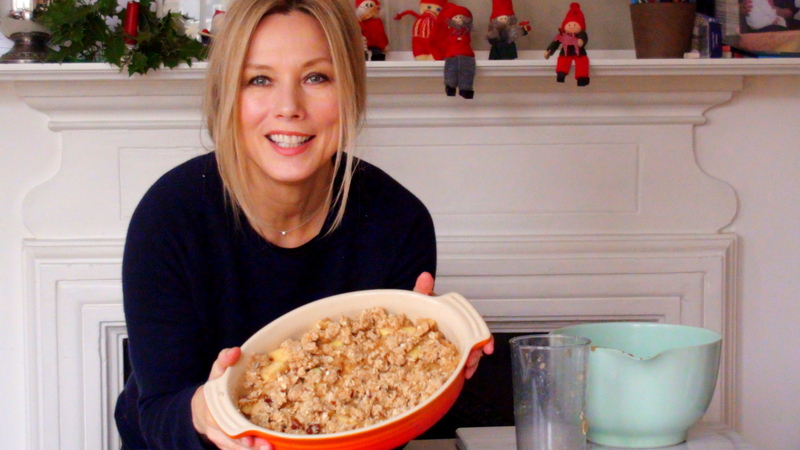 This apple crumble is an all-time favourite in my house, it’s warm, comforting and sweet without using any sugar. Place the rest of the apples, the orange juice and 3 dates in a food processor and mix until it’s like applesauce in consistency, Then add it to mixing bowl and stir with the sliced apples. Crumble: Put the desiccated coconut, oats, the rest of the dates, cinnamon and coconut nectar in the food processor until it’s crumbly. spread the apple mixture in an oven dish and the add the crumble on top. Cook in the oven for 20-25 minutes of until the top is golden.